The sign reads, "You! Go back!" and visit the Mendelssohn House. Imagine our surprise while innocently strolling through Leipzig’s shopping district to be confronted with this sign (see photo on left). 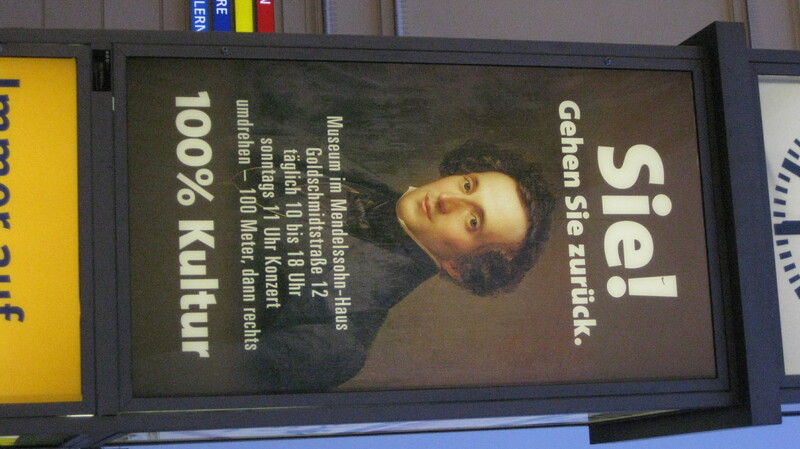 Now, I was planning to visit the Mendelssohn House, but had no idea that it was only a few blocks from our hotel. After having conducted several Mendelssohn works with my orchestras the past year (2009 was the 200th anniversary of the composer’s birth), I was intensely interested to visit the home in which he lived for the last years of his life. It was a large, impressive building that is beautifully maintained. 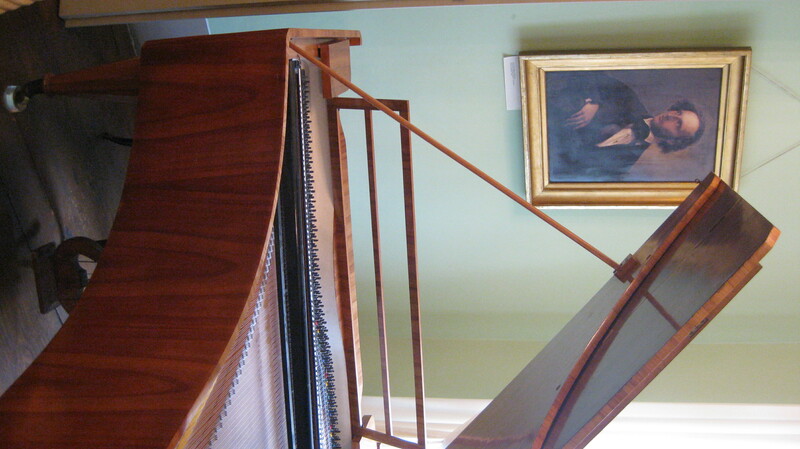 My favorite parts of the house were Mendelssohn’s “home office” where he did most of his composing and the large recital hall in the center of the house. The charming Biedermeier furniture was an added attraction. There were several interesting displays including Mendelssohn’s music manuscripts and letters, but I was surprised to also find his death mask, a lock of his hair, and one of the cute “sailor suits” he wore as a child prodigy. An entire room was devoted to the composer’s impressive paintings (he was a formidable artist) as well as items regarding his conducting career. There was even an incredibly detailed model of the original home of the Gewandhaus Orchestra complete with an opening in the roof to look inside. If you’re ever in Leipzig, don’t miss the chance to visit this historic house with its fascinating museum. 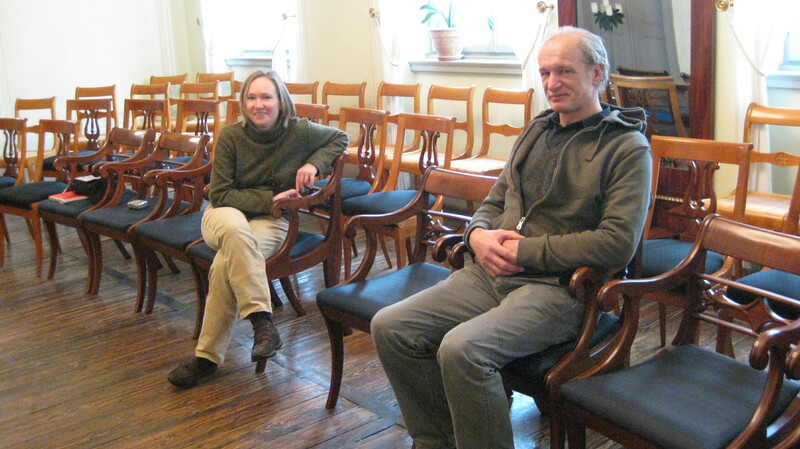 Andrea Hagemann and Reinhard Ehritt model good audience behavior in Mendelssohn's home recital hall.